In glass manufactoring processes, the control on colour and on its uniformity or, in the case of flint glass, on the absence of residual colours, is very important, especially for products with a prevalently decorative-aesthetic value. In fact, the presence of undesired colours (e.g. yellowish hues in flints) or of inhomogeneities (e.g. lighter or darker cords) has an important impact on the perception of quality; in some cases, the peculiar colour of the glass container is directly associated by customers to a beverage brand, therefore the range of acceptable colours for suppliers of glass bottles must be extremely tight for recognizability purposes; problems linked to colour and its uniformity in glass surfaces destined for building or automotive applications can even compromise their possibility of usage on the market. 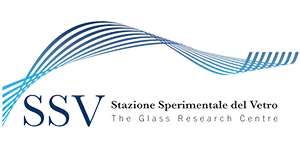 SSV provides a service of spectrophotometric measurements of colorimetric parameters, luminance, dominant wavelength, purity and CIE Lab coordinates, which are determined on plane-parallel flat-faced specimens, and normalized, when necessary, to a certain reference thickness (to be indicated).